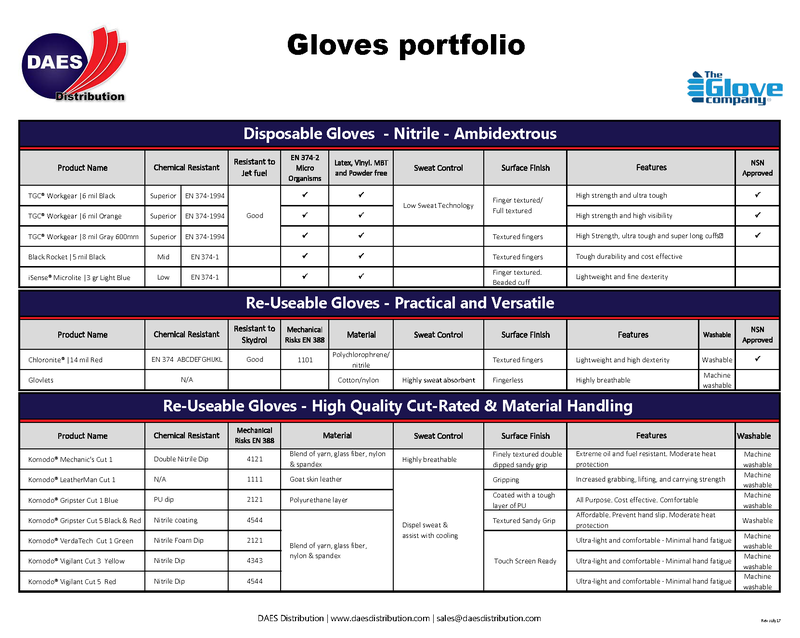 Chemical resistant nitrile disposable gloves, and re-usable cut-rated gloves for handling material and protection. Workgear Nitrile Gloves Orange | 6 mil | Resistant to 140+ chemicals | Certification in JP-8 A1 Jet Fuel Permeation | Powder free | High puncture resistance | Reduced sweat technology. Workgear Nitrile Gloves | Grey | 6 mil | Long Cuff: 24 in | Hand and upper forearm protection | Resistant to 140+ chemicals | Powder free | Latex free| Vinyl free | MBT free | High puncture resistance.